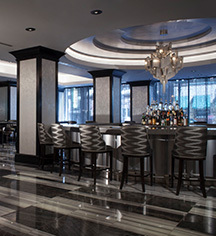 The Silversmith Hotel Chicago Downtown is luxury re-cut, a rare gem that has been polished to perfection. The refined Silversmith Hotel, with its classical architecture, offers its guests a new choice in luxury. The historic Chicago hotel features spacious, contemporary guestrooms and is tucked in the heart of downtown Chicago, and steps from Millennium Park, premier shopping on the Magnificent Mile, and many cultural attractions, including the Art Institute of Chicago. The Silversmith Hotel and Adamus Restaurant & Lounge present a vibrant atmosphere and the premier choice for those seeking out the best in culture, arts, and sports. Features include complimentary Wi-Fi, valet parking, onsite fitness centers, and over 4,400 sq ft of flexible meeting space. The Silversmith Hotel, a member of Historic Hotels Worldwide since 2016, dates back to 1897. Adamus, the restaurant and lounge, is a nod to the building’s history. The name is similar to the Latin term for Diamond, reflecting both the history of the building and the hotel’s commitment to luxurious accommodations. Deposit: $60 deposit per night. Parking: Self-parking: Not Available on-site. Valet parking: Available; $59 per night. Transportation: Limo or town care service available. 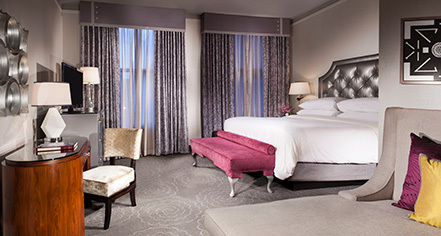 The Silversmith Hotel Chicago Downtown is luxury re-cut, a rare gem that has been polished to perfection. The refined Silversmith Hotel, with its classical architecture, offers its guests a new choice in luxury. Learn more about the History of The Silversmith Hotel .